Come enjoy the Aspen Lakes Experience. Named the #2 Best Overall Golf Experience in Oregon and #7 for Best Value in a recent Brainstorm NW survey. Aspen Lakes is one of the top ranked golf courses in Oregon. 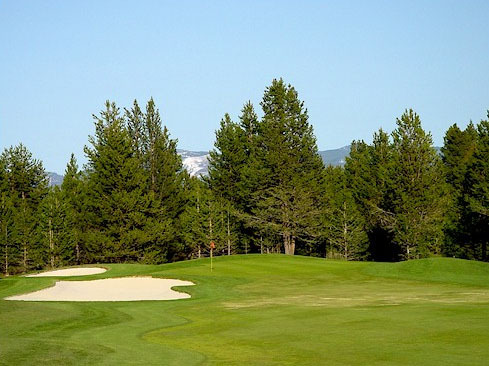 Located just 5 minutes from the old-west town of Sisters in beautiful Central Oregon, Aspen Lakes boasts bentgrass fairways and greens, breathtaking mountain views, and our signature red sand traps. What will you find at Lost Tracks Golf Club? A perfect Central Oregon rolling terrain fashioned into beautiful golf holes by designer Brian Whitcomb. With 7,000 yards of breathtaking views and challenging golf shots, Lost Tracks Golf Club defines the word golf. While Lost Tracks is located near the city of Bend, Oregon, it has the feeling of quiet seclusion. 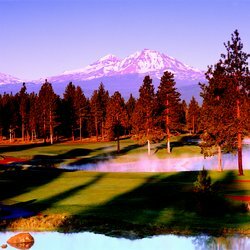 The golf course is bordered by national forest land and carved out of a stand of Ponderosa and high desert pine trees with lava rock outcroppings, dotted with sparkling lakes and seaside sand-filled bunkers. Laid out on a softly rolling terrain, the old-style design, without the long walks between greens and tees, invites the golfer to walk the meticulously groomed and maintained fairways. Lost Tracks demands the game of golf be played the way it was meant to be played by the game's founders hundreds of years ago. Call us today for rates and to make a tee time! 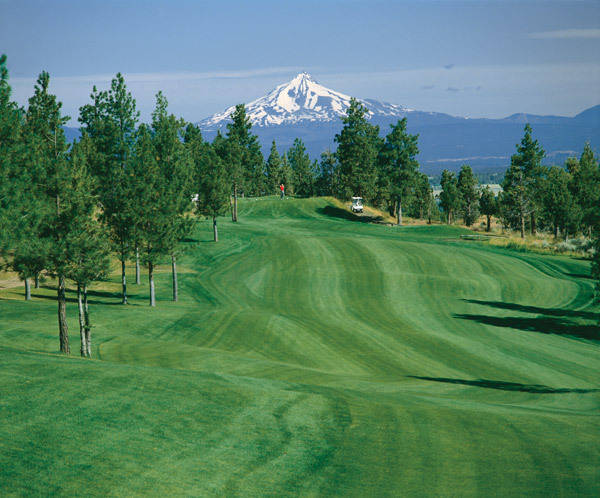 Quail Run Golf Course is a beautifully maintained, 18-hole championship course with panoramic views of the surrounding Central Oregon mountain ranges. With four sets of tees ranging from 5,400 to over 6,800 yards, Quail Run provides a challenge for golfers of all levels. Play a resort quality course at half the resort course fees! 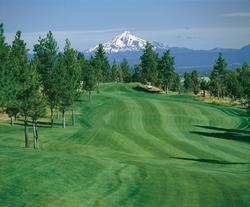 Quail Run is Central Oregon's best golf value with some of the lowest green fees in the area. Located just 25 minutes south of Bend and close to Sunriver, it's well worth the short drive to enjoy this favorite of locals and visitors alike. A Golf Digest's "Best Places to Play", Spectacular scenery abounds this par-72 course from the majestic Deschutes River to stunning views of Mt. Hood and Mt. Jefferson. 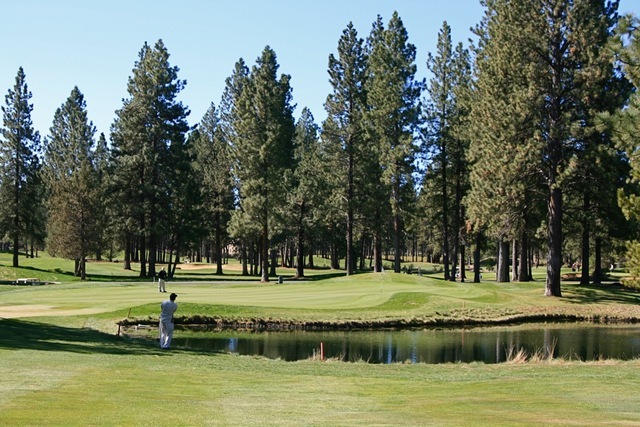 As well, River's Edge Golf Course offers some of the most challenging golf in Central Oregon including our signature hole, the par-4 6th, with an approach shot to an elevated green fronted by a pond and 25-foot waterfall. As well, the par-3 16th is also a treat, measuring 216 yards from the back tees with the green 300 feet below. And, four sets of tees make this course fun for golfers of all skill levels. If you're looking for gorgeous views and a challenging course Bend Oregon's River's Edge is a must play. Not valid with any other offer, restrictions may apply, discounts/rewards are subject to change & may be discontinued at any time & w/out notice. All of our quality items are Baked, (Not Fried). Fresh made Pastries, Donuts, Breads, Bagels, Special Order Cakes and Pies. Stop in for Lunch and try our delicious Homemade Sandwiches on Fresh Baked Bread, or Bagels. Please come see us for our Friday Lunch Special! The Lunch Special is different every Friday, served from 11:30 am ‘till it’s gone! Marcello's is the place for any special occasion, rather it be a romantic dinner for two, a family outing, business meeting, large group, or a catering event. Marcellos offers both traditional and contemporary Italian dishes as well as full bar with separate lounge menu. *excludes alcohol beverages. Located in the Sunriver Village Mall. The Village Bar & Grill provides our guests with a great family friendly dining experience. The starry nights concert series, which we proudly sponsor, gives guests a terrific opportunity to spend their summer nights in Sunriver dining on great food and listening to some fun music. The Village Bar & Grill can also cater your every occasion. No matter how big or small, we can cater to suit your every need. The Village Bar & Grill-Great food, drinks, and play. SunriverToyHouseToys.com (FEATURED) - Save up to 30% on ToyHouse Toys rentals (Bikes, Floats/Paddling, Power Water Toys) Sunriver ToyHouse Rentals has what you need for your Sunriver or Central Oregon Vacation. Need bikes? We will drop them off the morning after you arrive and pick them up on the day you depart. We make your Sunriver vacation Fun and Simple. We are close to the river, on your way to Mt Bachelor and a whole bunch of lakes! With our large open area, and easy Spring River Road access to the Deschutes River and Sunriver, you can easily test ride, and stroll around to see the wide variety of Toys to choose from. Come to Sunriver Toyhouse Toys and give your family the memory of a lifetime! Big Mountain Heli Tours creates experiences. We will bring you to our secret hideaway locations and share our grand vistas with you. We’ll offer you the very best of our high desert playground, giving you memories you’ll relish long into the future. Our slice of outdoor heaven lends itself to moments in the sky that you can only find and appreciate here. Tell us how we can make your vacation exciting. Where do you want to go? THE SERVICE…Experience. Know How. Fun. Deschutes River Anglers specializes in one thing: The Deschutes River Fly Fishing Experience. We know there are other rivers, streams and lakes in central Oregon. We’ve fished most of them. And in the end, for us, there is still only one river: The Lower D. Blue ribbon, native trout and steelhead in a breathtaking canyon where white water and wildlife abound!!! This is the Deschutes. THE TRIPS...One day, One week, One hundred people? Give us enough time and we can put together any kind of trip you would like. We specialize in one to four day trips on the lower Deschutes river exclusively. (With longer trips absolutely available!) Everything from BBQ lunches, weather proof canvas wall tents, to flys is taken care of. See the scoll menu on top of the page for a full description and photos of our camp and services. THE GUIDE...Cory Godell - Central Oregon born and raised, Cory is working on his second decade of guiding the Deschutes. Cory spends the majority of his winters fishing and improving steelhead habitat working for the Oregon Fish and wildlife's Trout creek project. A self-described "dry-fly nut,” Cory has a nose for rising fish and a knack finding new spots where trout like to take a deftly-placed fly. One of the more diverse outfitters on the Deschutes, operating with a motorized boaters permit from the BLM, we offer both day and overnight, drift and jet boat trips. We can accommodate all levels of angling ability and group dynamics from the first timers, to the die hards, from the annual guys trip to the corporate retreat. What ever your aspirations are for your Deschutes experience we can help make your dreams a reality. *We offer guided fly fishing trips for trout and steelhead on the Deschutes river & winter steelhead trips on the Oregon coast. Central Oregon Adventures provides back country snowmobile tours and rentals during the winter season from November through April. Snowmobiles are the perfect way to explore the powder-filled meadows and high mountain terrain that makes this region a world-class winter playground. The four hour snowmobile tour includes a stop at the remote Elk Lake Resort. Get ready to experience the thrill of a lifetime! Trips depart daily from the Wanoga Sno-Park. Two hour tours and snowmobile rentals are also available. Reservations are required. Please call 541-593-8887 or visit our website at www.coadventures.com for more information. Save on bike, ski, and snow board rentals. The locals choice for year round recreation. Sunriver Photography - 50% off the creation fee plus receive a FREE wall portrait. *Certificate available to guests of Mountain Resort Properties. Must pick up certificate at our office.